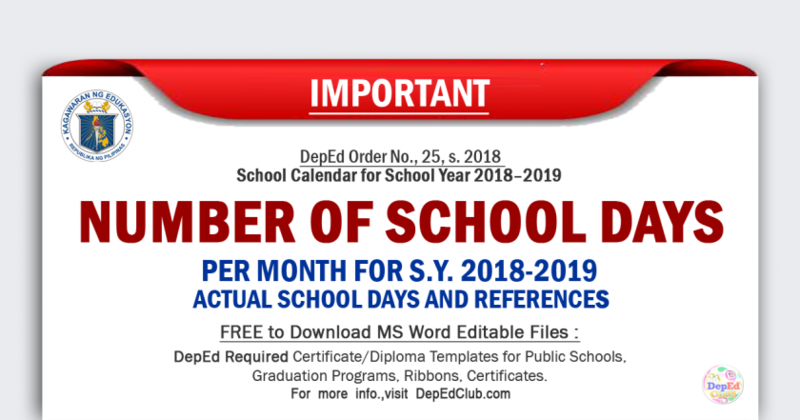 The Philippine Drug Enforcement Agency (PDEA) on Wednesday said it will no longer push for the mandatory drug testing for Grade 4 pupils and up, but insisted that it should still be conducted on secondary to tertiary students. “Sadly we didn’t get the support of DepEd on our proposal for the mandatory drug test for Grade 4 and above and they said to us, just continue or carry on with our mandate as the lead agency on anti-illegal drugs,” Aquino said at a press briefing at the PDEA headquarters in Quezon City. “But I would [like] to add, humirit pa kasi ako before the meetings ends, sinabi ko baka puwede naman nilang pagbigyan na lang na magkaron ng mandatory drug test ang secondary at tertiary kahit ‘yun na lang muna,” he added. Aquino said their proposal was based on the increasing number of minors who have been “rescued” due to their involvement in illegal drugs. 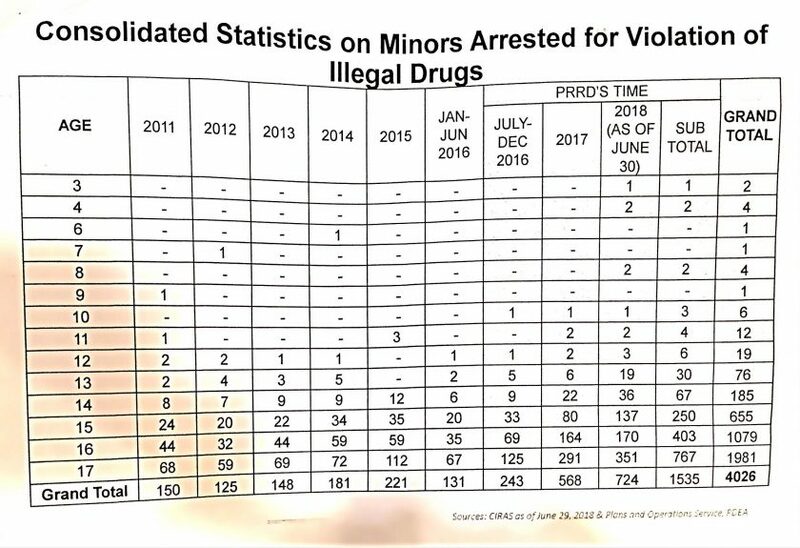 A total of 4,026 minors have been “arrested” for illegal drugs since 2011 based on PDEA’s consolidated statistics. Of this number, a total of 1,535 were arrested under the term of President Rodrigo Duterte which covers the period of July 2016 until June 30, 2018. 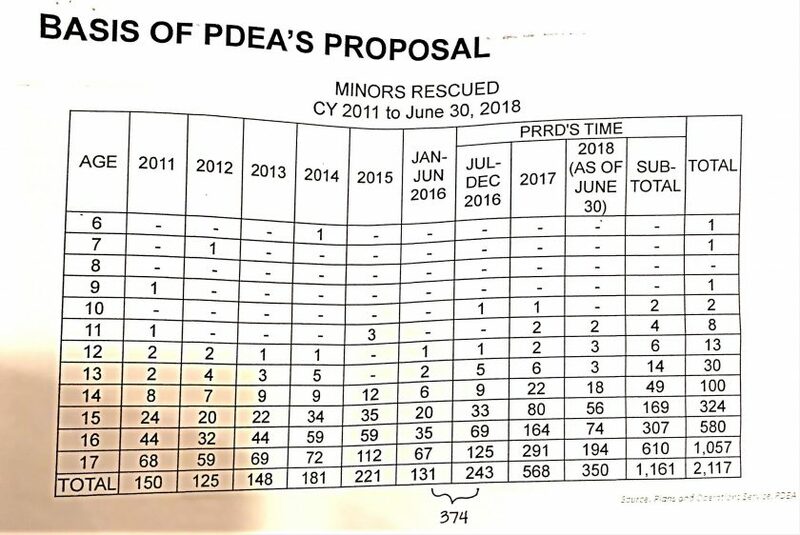 The consolidated statistics of PDEA also showed that minors as young as a three-year-old and two four-year-old have also been rescued due to their alleged illegal drug involvement. 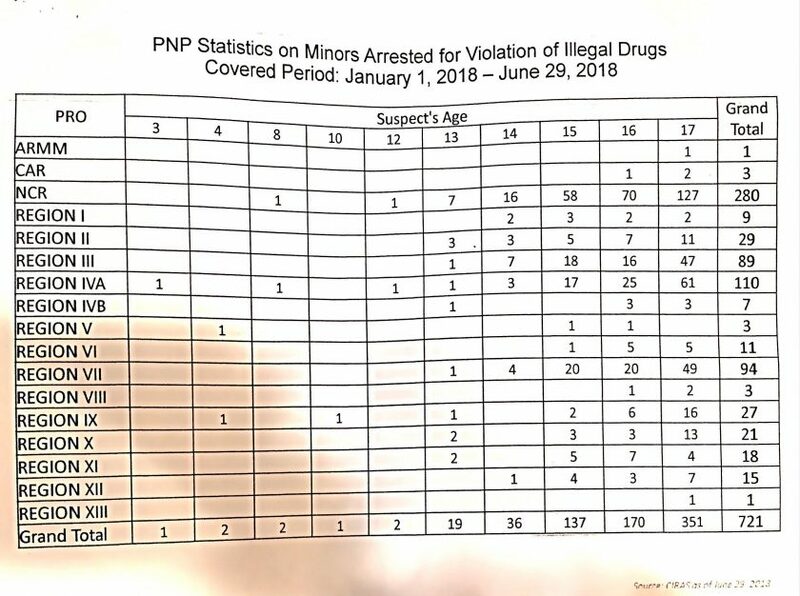 Aquino, citing the consolidated statistics, said that ages three to 17 years old “have committed crimes” involving illegal drugs. “Actually we’re not using the word arrest, we are using the word rescue. For the sake that you will understand the meaning between rescue and arrest, actually they were arrested because they are committing crimes in violation of [Republic Act] 9165,” Aquino said. 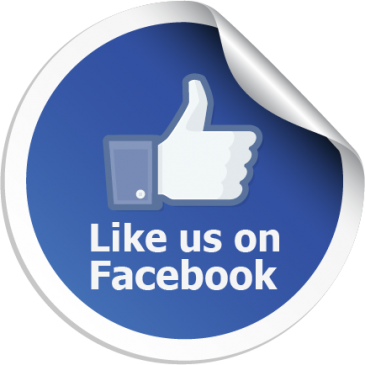 “The youngest is three years old, followed by two four years old. Dalawa sila, isang pusher, isang user na four years old,” he added. The PDEA chief, meanwhile, explained that the proposed mandatory drug testing among secondary to tertiary students as well as teachers would require the amendment of Section 36 of the Republic Act 9165 or the Comprehensive Dangerous Drugs Act of 2002, which he said would take years to be done. “We need to amend the Section 36 of R.A. 9165, but you know, amending this will take a lot of time. Maybe three years, four years, maybe five years…Kasi yung R.A. 9165 I think it took ten years eh, it started 1992 and it was approved in 2002,” Aquino said. 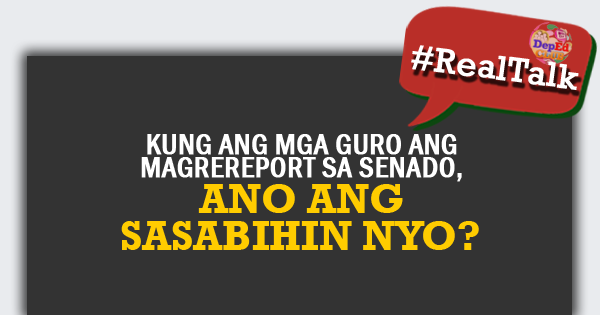 “It took 10 years for R.A. 9165 and amending this Section 36 from random to mandatory drug testing, I think will take another few years…I just hope that matuloy yung amendment nung tertiary and secondary. I just gave in for the sake of everyone na kumokontra sa PDEA na ayaw nilang i-drug test yung Grade 4, Grade 5, and Grade 6,” he added. 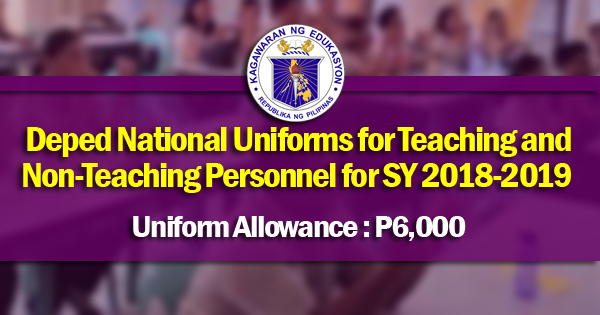 Aquino said that DepEd remains open with their proposed mandatory drug testing for secondary to tertiary students despite their opposition for it to be done to grade school pupils. “They just told us that they will conduct a study out of that so outright hindi sila nagbigay ng positive o negative answers. So I guess they’re more inclined or I think they’re more open to have a mandatory drug test for high school and colleges,” he said.